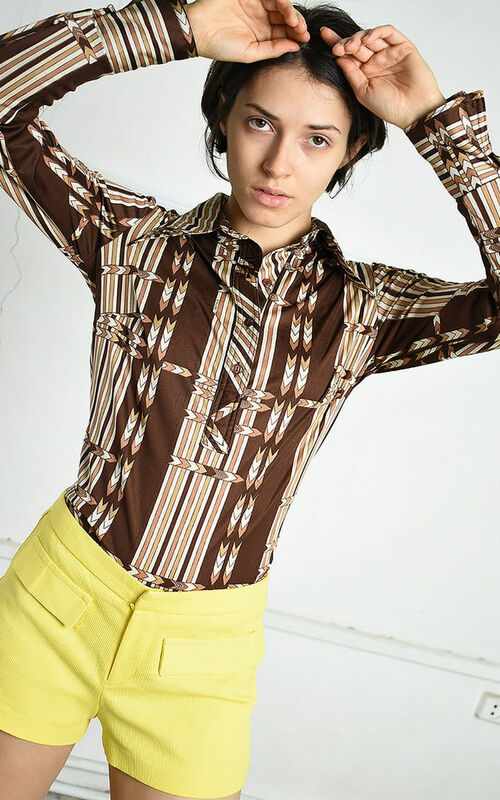 Lovely vintage 70s retro Paris chic top blouse in brown with Mod pattern. Buttons on bust, mint condition. Size fits UK 8. The model size is UK 6-8. Length - 53 cm, bust - 94 cm, sleeve - 53 cm. The fabric is stretch. Wash separately. Browse our full collection for other matching items. Size fits UK 8. The model size is UK 6-8. Length - 53 cm, bust - 94 cm, sleeve - 53 cm.